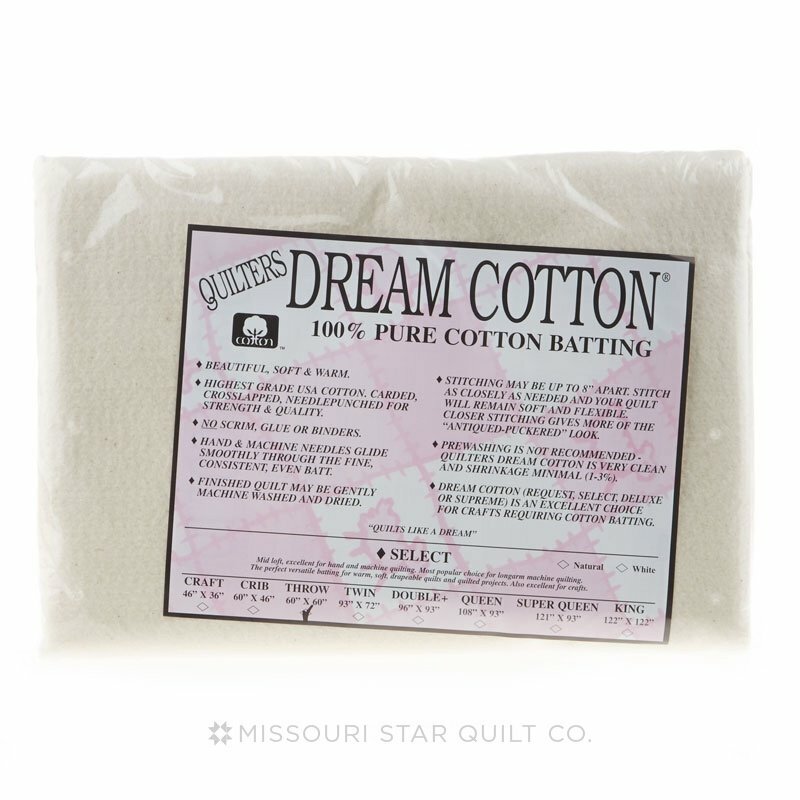 Quilters Dream Cotton starts with the finest USA cotton and is carded, crosslapped and specially needlepunched. 100% natural and environmentally friendly, our batting proudly bears Cotton Incorporated’s seal. Our special process prevents shifting and lumping. It has a very high thermal value (R=3.8) warm in the winter, yet wicks moisture away from the body to keep you cool in the summer. Stitching up to 8" apart allows quilters wonderful freedom of design. Because there are no scrim, glues, or other binders to add resistance, needles (by machine and hand) glide smoothly through the fine, consistent, even cotton batting. The finished quilt may be machine washed and dried. Shrinkage is minimal. Drapes beautifully giving a traditional look and feel to your quilt.